Home › Academy › Help & FAQs › How can I install a module/add-on? This is an instruction on how to install modules (add-ons) on your dating website. 1. You will have received a personal link from our Customer Service team to download the add-on files. 2. Download the archive with the files and unpack it. 3. Upload the contents of the archive on your FTP server, into the root directory of the site. Overwrite the files and directories if prompted to. 4. Go to the administration panel of your site > Modules > Modules management (/admin/start/mod_login/). 5. Once inside, go to ‘Enable modules’ section (/admin/install/enable_modules) and click ‘Install’ to install the corresponding add-on. 6. Click ‘Finish’, and you are done. 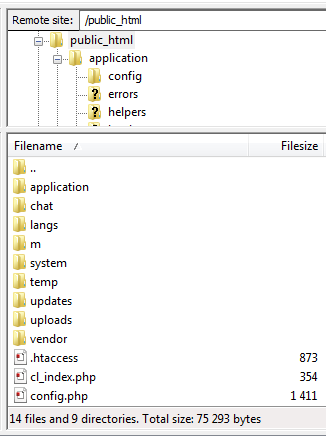 a) Installed add-ons are listed in section ‘Installed modules’ (/admin/install/modules). b) You can disable any add-on by deleting it from the list. You will be able to enable it again at any later time. c) Please note that you will not be able to delete a module that other modules depend upon. Read more on that in the article Modules : Modules management.